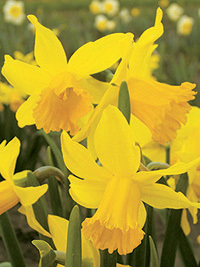 Attractive golden-yellow dwarf daffodil. February flowering in the northern hemisphere, August for us. Early spring flowering, 25cm tall.